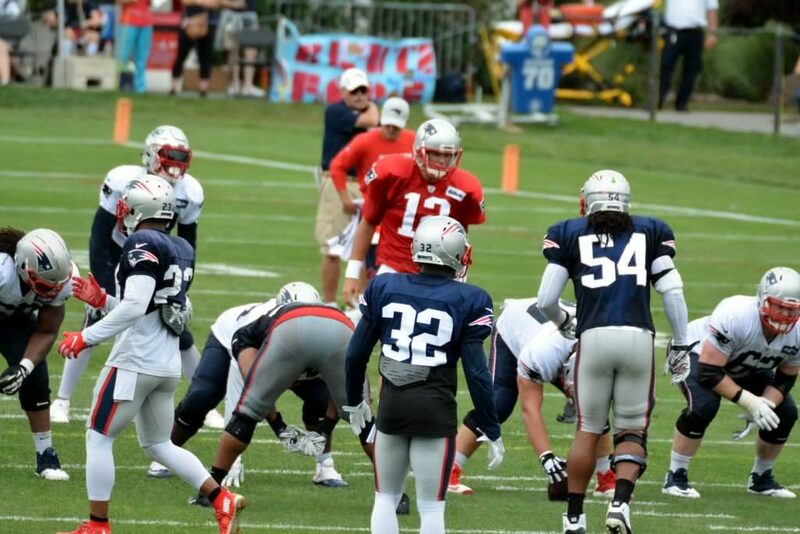 Good morning, Here is your Sunday’s Patriots news 7-15, & AFC East Notes. Something you can file under either a slow news week or not very surprising news, Mark Wahlberg has placed “a hefty bet” on the Patriots winning the Super Bowl. The Boston-born and Pats diehard fan who played Vince Papale of the Eagles in a film has long been a good friend of Tom Brady. Oh and he placed a bet on the Eagles as well. Tony Romo jumped into the Tom Brady – Bill Belichick ongoing discussion on how their relationship is, in his opinion just fine. “I just think when you work together for 15-20 years, whatever it is, I think that whenever you have the success that they have, people have to come up with stuff,” Romo said. “I’ve been upset with my coaches before, and then you come back and you’re fine. Romo also made his early Super Bowl call of the Packers-Jaguars for this season. 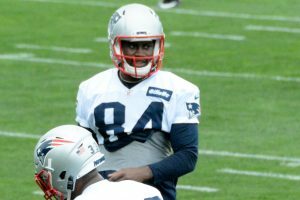 With training camp now right around the corner, the Patriots roster is right around 90 players but there are several guys still out there that may be able to help the team in 2018. The team has always targeted veterans that can step in contribute. And these players would, in our opinion help out with some positions that could use the depth and while some were positions of need a year ago, others, while not a particular position of need per se, could benefit from the depth. Kenny Vaccaro: The Patriots have three starting caliber safeties in Devin McCourty, Pat Chung, and Duron Harmon and frequently use all three on the field at the same time. 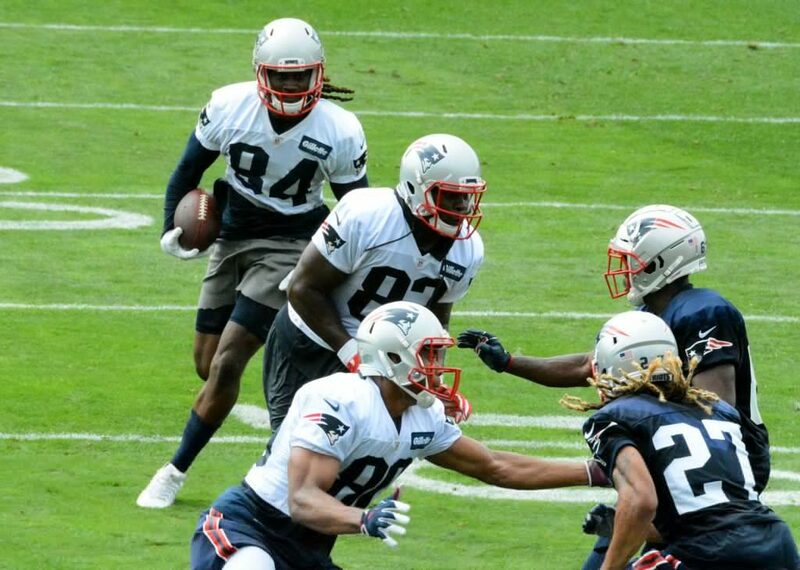 Behind them is Jordan Richards and we’ve all seen what happens on defense when he plays a key role. 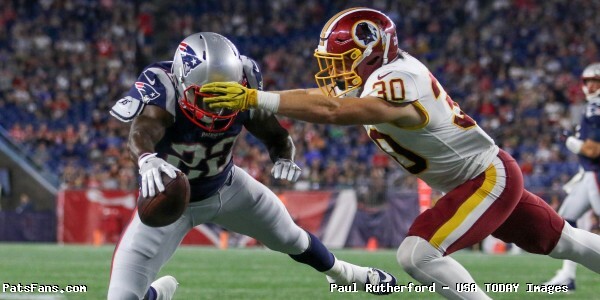 With both McCourty and Chung starting to get up there in years, it may be time to bring in an eventual replacement in case of either a dropoff in play or injury. Vaccaro is still just 27 and had a very solid 2017 until wrist and groin injuries landed him on IR. He made 60 tackles, had three Interceptions and broke up 12 more in 12 games. The former 2013 first round pick has had some issues staying on the field. The market for safeties didn’t play out the way he hoped it would and he’s still out there. But Vaccaro is versatile and can be moved around, much like Bill Belichick likes to do with his safeties. Is a one-year flyer on a player of his caliber out of the question? Of course not and he’s a huge step up from Richards in the secondary. NaVorro Bowman: Bowman is a 30-year old free agent middle linebacker who can help with the lack of depth inside. 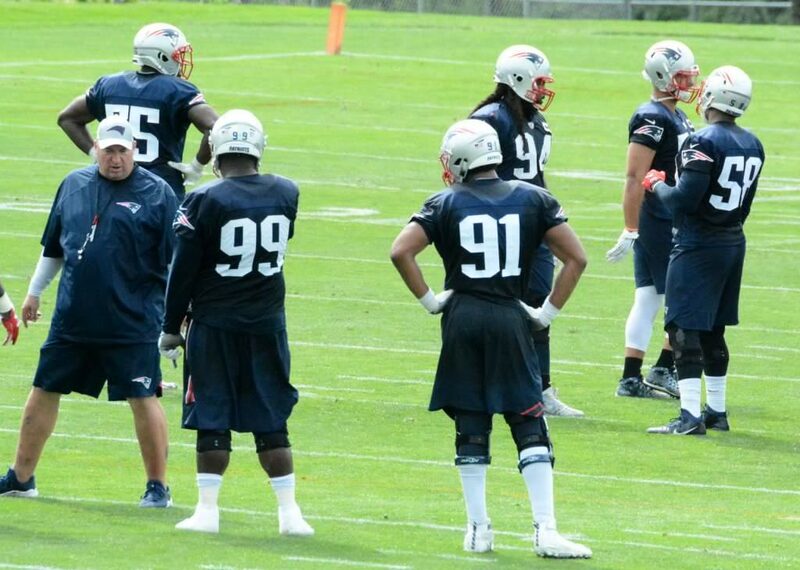 Is the team planning on moving Dont’a Hightower back inside after playing him on the edge a year ago? And given his injury history, it has been rare for him to play an entire season. With Bowman returning to play strong for the Raiders in 2017 after being released by the 49ers last year, he still has plenty of gas left in the tank. The Raiders made him an offer during the spring but he’s still out there in free agency and hasn’t signed with anyone although rumors suggest that he’ll return to Oakland. Bowman could be brought in on a relatively cheap short-term deal and with Elandon Roberts and rookie Ja’Whaun Bentley inside, Bowman would be an upgrade. Connor Barwin: Barwin is a 31-year old edge rusher who has been remarkably durable over his career starting in 109 of 112 games for Houston, Philadelphia and Los Angeles (Rams). And while he’s still effective at rushing the quarterback and getting some offers, he has his sights set on goals other than money. Barwin is in search of a team that is in contention for a Super Bowl and of course one that could use his skill set. Right now, he looks like he may be leaning towards a return to the Rams but as he’s still unsigned, he’s a player that could help the Pats. We wrote about him in the spring, the Patriots lacked a consistent pass rusher to complement Trey Flowers in 2017. The team has brought in Adrian Clayborn and has high hopes for 2nd-year players Deatrich Wise and Derek Rivers. Rivers missed all of last season after tearing an ACL. Barwin is a savvy veteran who has always had good production getting after the passer and with the Patriots lack of depth and experience there, I still think it would be a good move to bring in a proven veteran edge rusher. Robert Ayers: Another defensive end who is as good setting the edge as he is getting after the passer. Ayers will be 33 when the season rolls around and may be losing a step. He had just two sacks last season although he was providing some good pressure on the quarterback. Ayers could be one of those one-year rentals who extends his career for one more season by coming in as part of the defensive end rotation and giving some good quality reps along with a veteran presence. 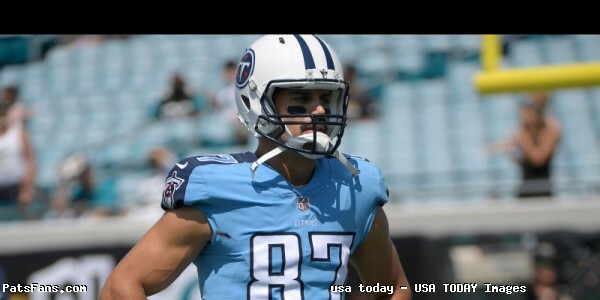 With a chance to play for a winner in the twilight of his career could be a nice enticement where Belichick and Nick Caserio won’t have to break the bank for him. It doesn’t seem like football is right around the corner but a week from Thursday morning the Patriots will begin their 2018 training camp and then right around the corner the regular season will begin. So we’re looking at some players on the roster and thinking for the Patriots to make it back to the Super Bowl this season, these are the guys who’ll have to step up. 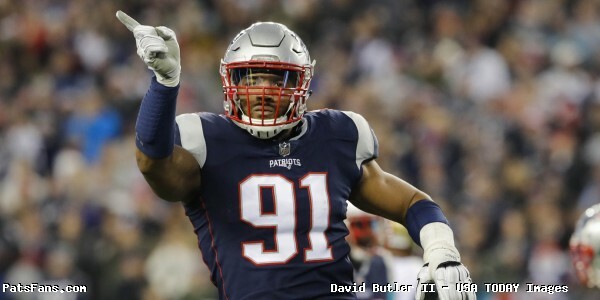 Adrian Clayborn: The Patriots are putting a lot of eggs in his basket and while they’re not an attacking style of defense where their edge rushers are pinning their ears back on every down, they still expect a lot from their edge players, especially from the veterans. And for Clayborn, a guy they brought in during FA, the pressure to produce will be there in 2018. 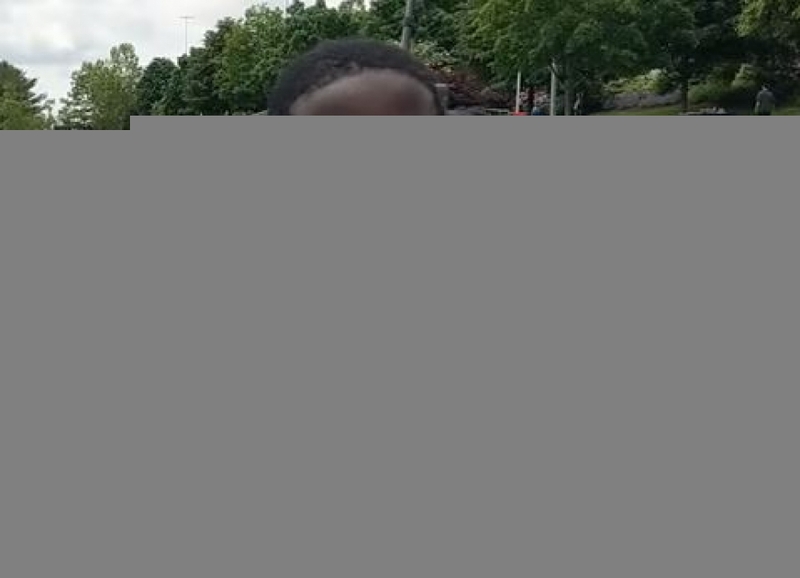 Clayborn, is thus far, doing all the right things. He’s always among the first to arrive on the field. He’s leading by example and playing hard during the spring workouts, which albeit are tougher for the big guys since there are no pads allowed. Camp will be the beginning of a very interesting year for the veteran. A lot of eyes will be watching him all year and he’ll be expected to make a difference in the Patriots pass rush and overall defense. 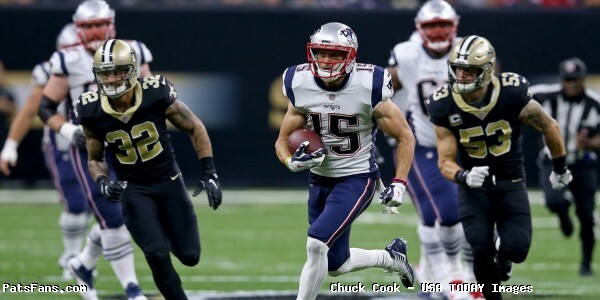 Chris Hogan/Jordan Matthews: These two wide receivers will be especially looked to early in the season to provide the offense and QB Tom Brady with the confidence to replace the production of Danny Amendola, Brandin Cooks and Edelman (for the first four weeks) of 2018. Hogan has been a productive receiver for the Patriots and last year had some nagging injuries that cut into his season. But he’s healthy this summer and in a contract year should be primed for a good season. I look for Hogan’s looks from Tom Brady to get a huge uptick this season, especially in the red zone where he was flourishing before his shoulder injury in 2017. 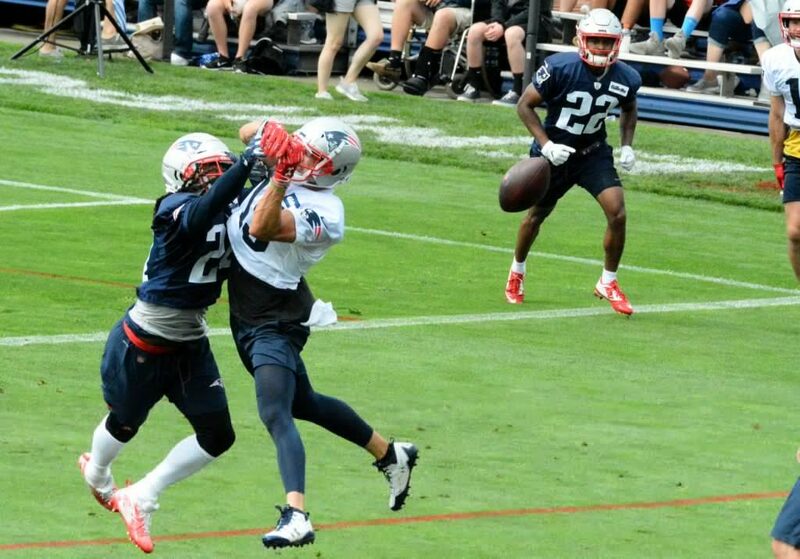 Hogan isn’t a #1 WR but in the Patriots system, it is all about the matchups and Brady can move his WRs and TEs around to find them and Hogan should benefit from that big time in the first month of the season. 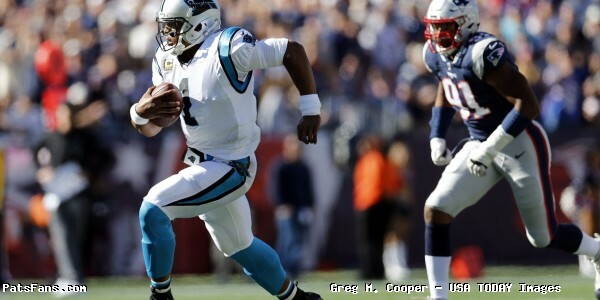 Matthews is a newcomer to the Patriots offense but expectations are already quite high for him (here too), to not only to assimilate into the offense but be a key contributor as well. Matthews has the size that most slot receivers don’t have but has been a very productive receiver in several different schemes. This season, we’ll be watching him closely beginning on the 26th. Derek Rivers: While he’ll only be part of the rotation and has yet to play an NFL game, the 2nd year edge rusher/linebacker already has high expectations following him. The team’s top draft choice of 2017, Rivers missed all of last year with a knee injury so expectations should be a bit tempered. But much was expected from him a year ago and that hasn’t changed this season. 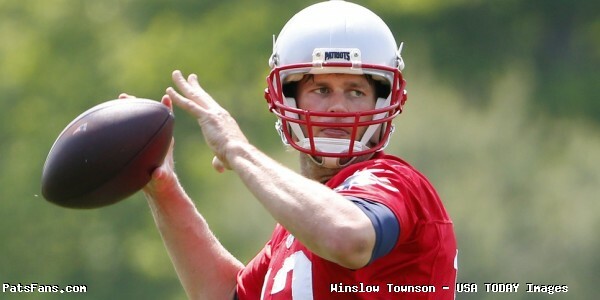 In fact, there may be a bit more pressure on him to produce this fall. With the pass rush needing a boost in 2018, and the majority coming from Flowers and Clayborn, the next players in the rotation will be second-year players River and Deatrich Wise providing the QB pressure, setting the edge and occasionally dropping into the flat. Rivers appeared healthy this spring and now will have to show even more once the pads come on. He started slowly last summer, but that was to be expected coming from a small school at Youngstown State. Things seemed to be just falling into place when he tore his ACL. Now with a year in the system, albeit not playing, he’s expected to provide the type of jump a typical second-year jump in play that Wise will be showing as well. Brown will have big shoes to fill and will be tasked with protecting Tom Brady’s blindside. Brady has had Nate Solder and Matt Light during his career and now the job will fall to Brown. 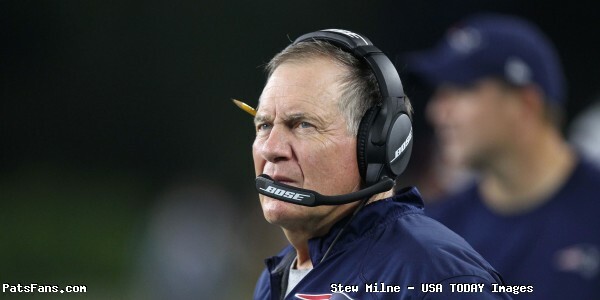 Not to put any undue pressure on him but ultimately he’ll have a lot to say about effective the Patriots passing game will be. We’ll be watching him closely this summer as will everyone else as his every move will be dissected this summer. Welcome to Foxboro, Mr. Brown. The Buffalo Bills LeSean McCoy’s ex-girlfriend was the victim of a home invasion and a vicious beating at her home in Atlanta this week. And she’s pulling no punches of her own and claiming that McCoy was behind the entire thing. The local police redacted her name from reports, however, attorneys for Delicia Cordon, McCoy’s former girlfriend, have previously identified her as the victim of the home invasion. The armed intruder beat Cordon in the face with a firearm in trying to remove her bracelets, of interest to police since they were among items McCoy has been trying to recover from her in addition to other jewelry. McCoy has denied any wrongdoing in the case and has hired prominent Atlanta attorney Don Samuel who has not commented on the case publicly. It may turn out that McCoy does indeed have nothing to do with the home invasion, but regardless, after seeing Cordon’s face and hearing the accusations, it is a bad, bad look for McCoy, the Bills and the NFL. Stay tuned. 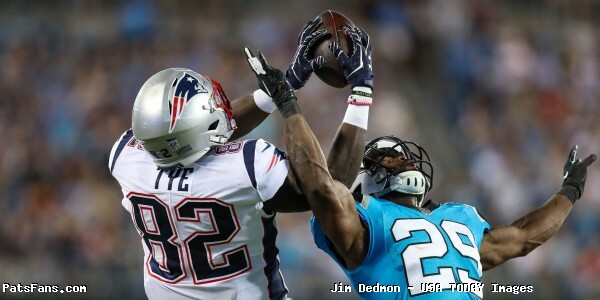 This entry was posted in 2018 Patriots Offseason, NFL Commentary, NFL News, Patriots Commentary, Patriots News and tagged 2018 Free Agency, 2018 Patriots offseason, 2018 Patriots preseason, 2018 Patriots season, 53 Man Roster Projection, Adrian Clayborn, Bill Belichick, Buffalo Bills, Chris Hogan, Danny Amendola, Jordan Matthews, Julian Edelman, Miami Dolphins, New England Patriots, New York Jets, NFL, Patriots, Patriots edge rushers, Tom Brady, Trey Flowers on July 15, 2018 by Steve Balestrieri.